Top Kid’s Wallpaper Prints of 2016 – so far! We’ve rounded up our customers’ favourites from a huge selection of kid’s wallpapers to give you the definitive list of the best of 2016 – at least so far! If you hadn’t noticed, gold has overtaken copper as the metal of the moment! And what better way to bring a bit of this warm metallic than with fun polka dots? 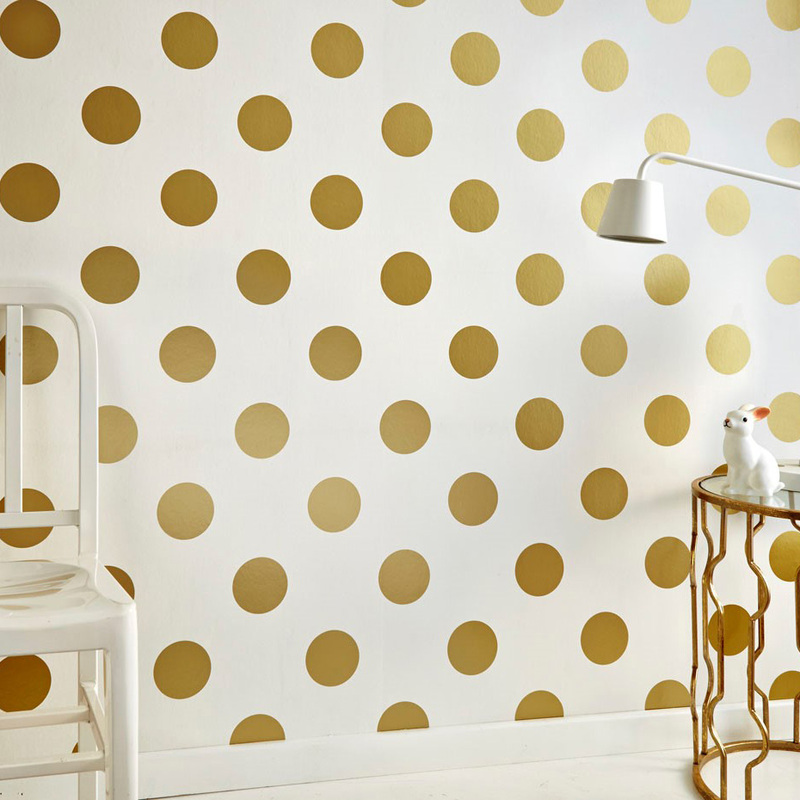 The oversized print of Dotty Gold creates a fantastic whimsical pattern that works with nearly any style and colour. Super affordable, super trendy, it’s little wonder why this takes the top spot! Our comic book heroes have come to life on the big screen and happily, to our walls as well with our Marvel Action Heroes wallpaper! Illustrated comic book covers make for an exciting bedroom for kids who love a bit of action-packed fun. Iron Man, Spider Man and X-Men from Marvel’s own vintage archives appear along with so many more of your child’s favourites. What little girl doesn’t dream of being a princess? Treat your favourite little royal to a taste of fantasy with our well loved Princess Toile wallpaper in pink for a pretty and feminine look that won’t quickly date and always looks fresh! Black and white is big news this year and that high contrast impact is perfect for a kid’s space too. 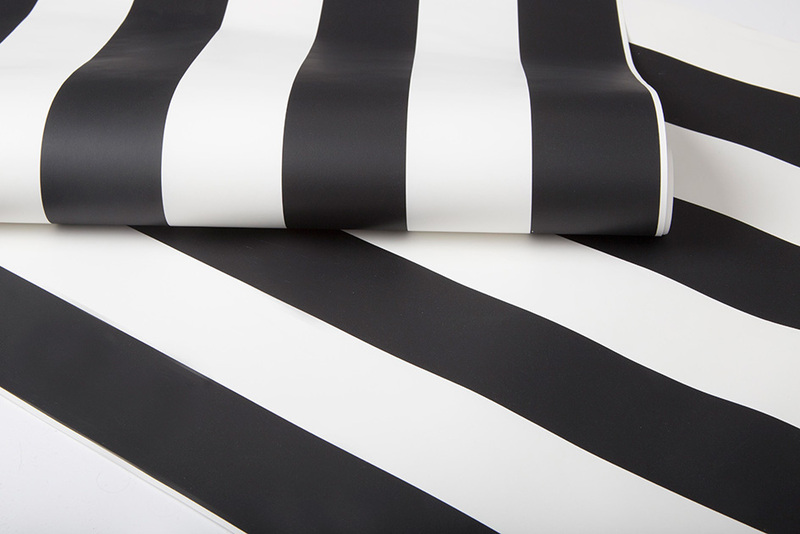 The bold Monochrome Stripe wallpaper is the new classic and creates a real sense of space – no matter how small the room. If you love the look of Scandi design (and who doesn’t?) then this will marry beautifully with just a few simple touches of wood, a classic style that will grow with them! Will your child be the next Picasso or Pollack? 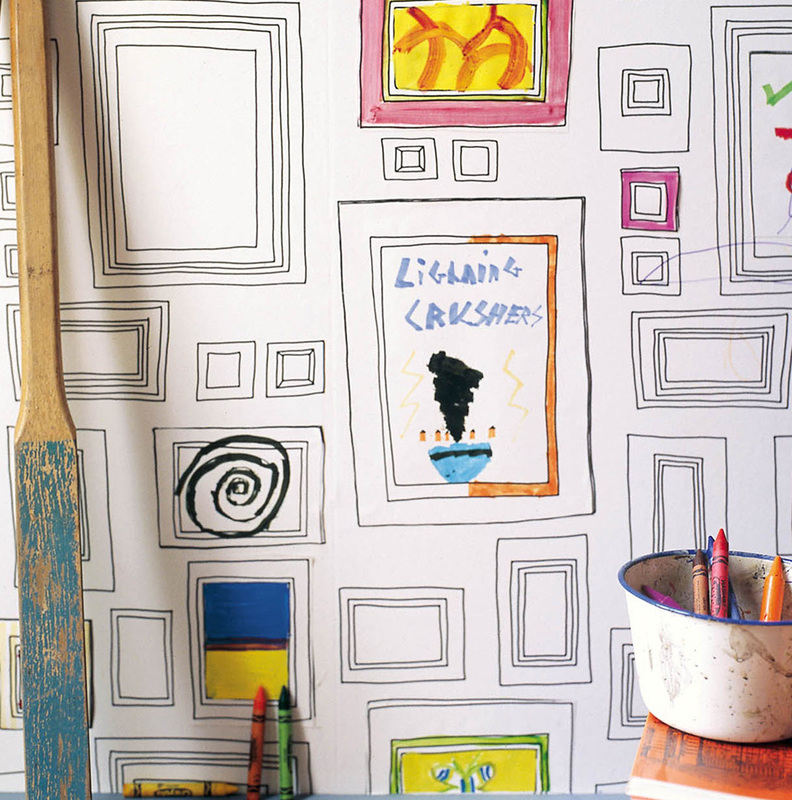 A classic in its own right, our fabulous Frames wallpaper continues to inspire our little artists and is one of our best-selling prints of all time. For once, it’s actually okay to draw on the walls so they can release their inner creativity. Capable of brightening even the dullest day, our Cloud 9 wallpaper will allow your children to reach dizzying heights of inspiration! 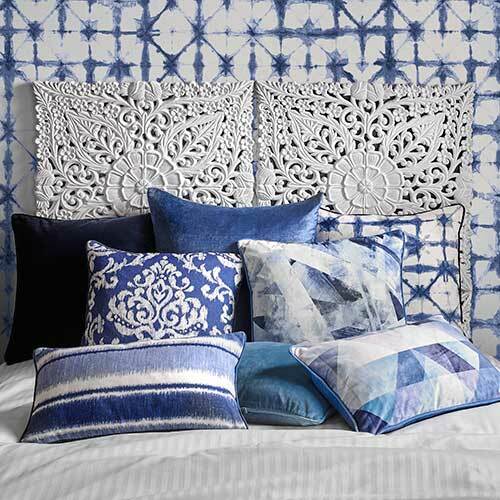 This popular design creates a sense of calm and tranquillity, perfect for a kid’s space and the soft blue and white colour palette combines beautifully with bold brights or pastels. You can see all of our kid’s wallpaper designs here – you’re sure to find something you and your children will love.